Francois Henri “Jack” LaLanne spent the better part of his 96 years on earth educating the people of the world about how to be physically fit. From 1951 until 1985, he had a fitness show on television in which he gave workout and nutrition tips. Obviously, keeping in good shape is a boon to good health, because Jack LaLanne lived to be 96 years old before succumbing to pneumonia at his Morro Bay, California home. 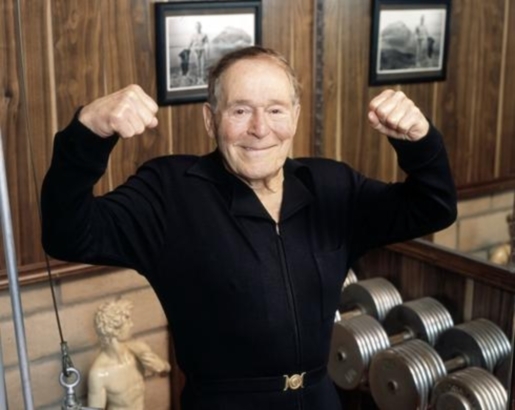 As LaLanne said, “The only way you can hurt the body is not use it.” Given that he performed feats of strength all the way until his 70th birthday, Jack LaLanne is a living example of just what good working out and eating right can do for you. And to think, this was before organic food! This is just based off of fruits and vegetables and fish. It’s pretty safe to say that Jack LaLanne, having been dead for a day now, is probably still in better shape than I am.